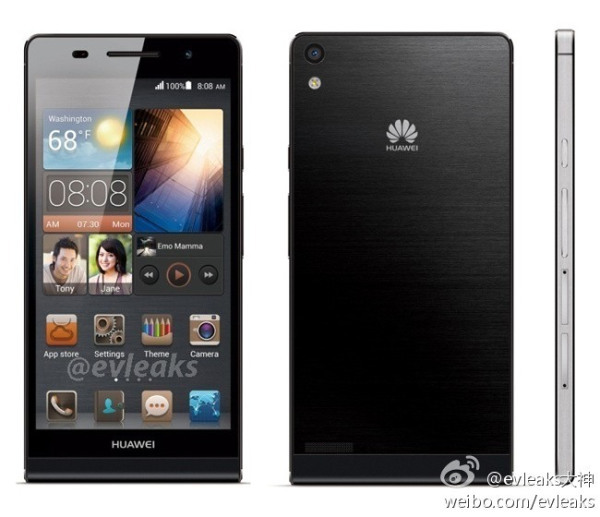 The Huawei Ascend P6, although still listed as rumored in our database, is all but officially announced after its latest specs leak. With last month's official render and not-so-official pricing of the device, followed by leaked benchmark results and live photos, we'd almost expect to be able to walk into a store and see it on shelves, even though Huawei's "mysterious" launch event is still a week away. The latest leak involves internal documents, which were sent to us by one of our readers who chose to remain anonymous for obvious reasons. While we can't share the actual documents with you, we can reveal their contents, which give us the full nitty-gritty on the device. We got to learn that the Ascend P6 will be powered by a 2000 mAh Li-Po 2000 battery and will have a 5MP front-facing camera capable of 720p video recording. The Bluetooth specification turned out to be v3.0 rather than v4.0, and the wireless 802.11a standard isn't supported, which probably points to the lack of dual-band Wi-Fi. There's also confirmation of a temperature sensor and the exact measurements, which come in at 132.7 x 65.5 x 6.5mm, with a weight of 120g. The detailed specs sheet also proves that many of the previous rumors were correct - the smartphone will be powered by a a quad-core 1.5 GHz K3V2+ Huawei chipset with 1.5GHz quad-core CPU and an Intel XMM6260 modem. The Huawei Ascend P6 will also offer 8MP camera capable of 1080p video recording, 8GB of expandable internal storage with 2GB of RAM, a 4.7-inch 16M color screen of 720p resolution - all running on Android 4.2 Jelly Bean. You can check the complete specs sheet in our Huawei Ascend P6 specs page. Just don't forget to check back with us on June 18th for the official launch, so we can see what else Huawei may have up its sleeve. you mean it will never compare in terms of marketing?